My first holiday season minus my old buddies at Visa and MasterCard. The only “splurge” gift was a new laptop for my parents, but even that was cash and carry- I went with a Toshiba Chromebook to minimize future software and antivirus needs. My son got his Star Wars fix, my sister a new pair of heels. It was a hard fight not to justify using my points rewards cards, or even my cash back one- but I can’t trust myself to pay it off at the end of the month, so I battled thru the temptation and made it to the other side of the holidays free of Christmas debt. I hope everyone liked the gifts I got them. I enjoy knowing that their gifts belong to them, and are not on loan from a credit card company. I spent a great deal of time meditating on God’s gifts to me, and the fact that my son has a home full of love (and toys) means I can get away with Santa not bringing Xbox or PlayStation now, and save for rainy days when we may need it. I didn’t plan out shopping, and I didn’t lay a way or save a Christmas account. I did start in early November, and I spent within my budget. I got a little close to comfort to the stretching of a paycheck, but I brought my lunch more, drank less coffee out, and cut back on my hair expenses (for those that know I love to have highlights and lowlights done). So I did what you are supposed to do, which is to sacrifice your own wants for others. And it made the gift giving much more meaningful to me, at least, to know the gifts were truly gifts given with my love, not a swipe of a card. Forgive me if I sound like I am bragging, but this little victory was hard won. I barely knew there could be a life without debt. I miss playing Solitare at my Grandparent’s house, while Grandma and Grandpa watched Jeopardy. I played with real cards, and watched real antenna TV on the only 3 or 4 stations we had. Grandpa would give me tips on which card to move when I got stuck, and I would shout answers to Alex Trebeck to see if I could beat the contestants. I remember the quiet- there were no notifications beeping for attention. No status updates, blogs to read, or pins to repost. My son will never know a world like that. At three, he is already playing Star Wars on my phone, and talking about lasers and Angry Birds. His attention span would never be satisfied with a card game, it doesn’t have lights or bells to attract him. I remember hunting without a phone to call home on. Grandpa would tell Mom and Grandma where we planned to hunt that day, and they knew not to expect us before dark. We had no gps, we gave vague directions to where we may be. More often than not, we ended up somewhere else. Someday I want to turn it all off. I haven’t had cable in nearly 2 years. I rarely watch a movie on Netflix. But my phone I can’t put down. Facebook wall scrolling consumes me. Pinterest is next if I run out of posts to view. Baby steps, though, I have unfollowed many so my news feed is truly information I need to see. I try to scale back my posts to things that are useful only. Maybe I can find a deck of cards somewhere and try to play. I miss sitting at my Grandpa’s feet, with him helping me to pick cards, and watching a tv station that is more static than picture. I am thankful for the simplicity of those days. I have not used a credit card in four months. Since I have had a credit card (somewhere around age 19) I have always carried a balance, consolidated and paid toward, or transferred money from one to another. Four months off the sauce doesn’t seem like much, but for those of you who have gone without a credit card, you know the withdrawal I am going thru. The look on the sales clerks face when you tell her “No” to her generous instant discount and cash back offer. I have made up every excuse in the book “No, my husband won’t let me open anymore”; “No, I Am am trying to get a mortgage and my broker says not to open more credit”. It’s easer to say that then to tell the truth, “No thank you, I have paid more interest in my life than I ever want to know about. And I don’t trust myself to pay the balance off at the end of the month.” We have trained ourselves to think that people who don’t use credit are somehow not normal- I have had sales reps laugh at me when I refused to get a card, as if I was a circus side show act. They couldn’t believe I wouldn’t accept whatever generous offer they had. Then when I can’t have the item that I want because the funds in my account won’t cover it– I feel like a child who can’t have candy in the checkout aisle. Every emotion from disappointment, to jealousy, to defeat as I walk away, sullen. More often than not, the day after, I barely remember what it was I wanted in the first place, the item had such little value. The anger over not having the “It” item of the day is slowly being replaced by a calm that I am in control of my finances. Four months is a long time, and my budget has not been perfect. I have gone on mini spending sprees and gotten a little too close for comfort to the end of a paycheck. But so far, no new debt. And less “stuff” cluttering my counters and shelves, taking up both physical space and mental space in the form of buyers remorse. Don’t give up. If you are paying off those balances, keep at it. Leave the cards home a few days a week to get used to it. Carry a bit of cash instead, it will help with the feelings of panic of not carrying credit. I worried that if I left home without a credit card, something bad would happen that I would need immediate access to my line of credit. Thus far, my fears have proved to be unfounded. If you are just getting started, the first step is that you acknowledge there may be a problem with your spending. Don’t listen to me, I didn’t listen to others. It only worked when I made the decision on my own. Good luck on the first steps of your journey. In art school, I was not a fan of minimalistic art- I didn’t “get” it. Give me the grandeur of the Hudson River School or the Baroque masterpieces. Don’t strip down a painting to a field of blue and tell me it’s art. Life imitated my tastes in art. After graduation, I had a succession of well paying jobs that let me feed my need for the latest in fashion and technology. Latest smartphone? Had it at launch. Newest Xbox? Pre ordered for the hubs. New car. New apartment, big screen tv, video games, Blue ray, MP3 players, iPods, computers, laptops, Bluetooth gadgets. I had it. Cosmetics? I could have opened my own store with the amount of fragrances and makeup I owned. There was no end to buying. Money was of little concern. I had it and more than I needed. I did listen to the voice in my head telling me to save, and I paid attention. I had a savings account and 401k. Then a layoff. Then separation. There was still a mortgage to pay, a car loan to make, a baby to be fed, an attorney who needed cash upfront. I was fortunate for the blessings of a severance package and my savings to tide me through 9 months of a $10 an hour job, which while not paying well, allowed me plenty of time off to cry and adjust to life as a single Mom. I felt an incredible urge to purge everything in my sight. Boxes of electronics, clothes I couldn’t wear post baby. Photos of my life before. I ripped up flooring and walked on sub floor for weeks just to forget what life looked like a few months ago. I couldn’t figure out what had happened to me that the joy this stuff used to give me was now gone. One sleepless night I found a website on Minimilism. Thinking back to art school, and large canavases filled with a single shade, I read up on it all. It wasn’t about art, but about how to fill a hole in myself by emptying out what I didn’t need. Sometimes it’s physical things. Bags of makeup I never use. Sometimes it’s emotions I drag along, songs on repeat in my head that don’t let me forget. My house is less full than before, but I still have more than I could ever need. It’s a journey, not necessarily an end I have found. If you want to learn more I highly suggest visiting The Minimilists and taking a look for yourselves. I relate to these guys because they came from a sales background (as do I) and found a peace that no gadget was able to bring them. I have a long ways to go. 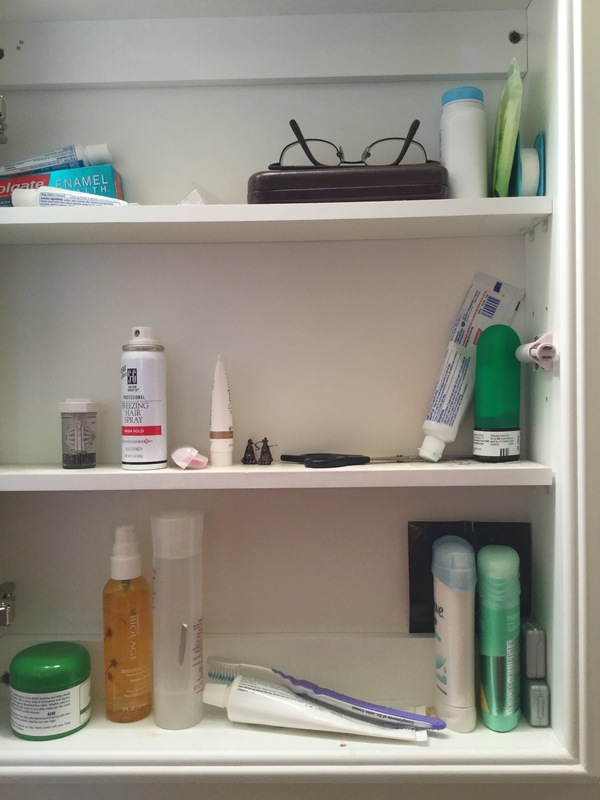 For instance I find my medicine cabinet too cluttered. There are several tubes of toothpaste. Why? And that question can help you clear out so many things in your life too- why is “it” there? Does it help you or bring you down? Why do you keep it? It’s Midnight. Shopping for tanks. Just finished up the last report for work. All the technology in the world, and I am still manually entering in sales numbers to an excel spreadsheet–when, if only the powers that be were patient, the system generates sales totals the next day. Madness. I had a coffee at 10 to stay awake till now. To burn off the caffeine high, I will troll Facebook every five minutes to see if I missed anything, then off to Pinterest to see what the good Moms of the world do in their free time. A sad day, my son informed me that his once favorite toys are now only “for babies”, and I can get rid of them. Is 3 too young to watch Clone Wars animations on Netflix? He can build star fighters out of mega blocks now and zoom them after the cat, so I figure, what’s the harm. But I feel a little pain when I look down the infant toy aisle at things he will never want again. Instead of binkys, I Shop for tanks. If you came here looking for the latest in vino trends, quirky memes about women and red wine, my apologies. I don’t have time for a drink. 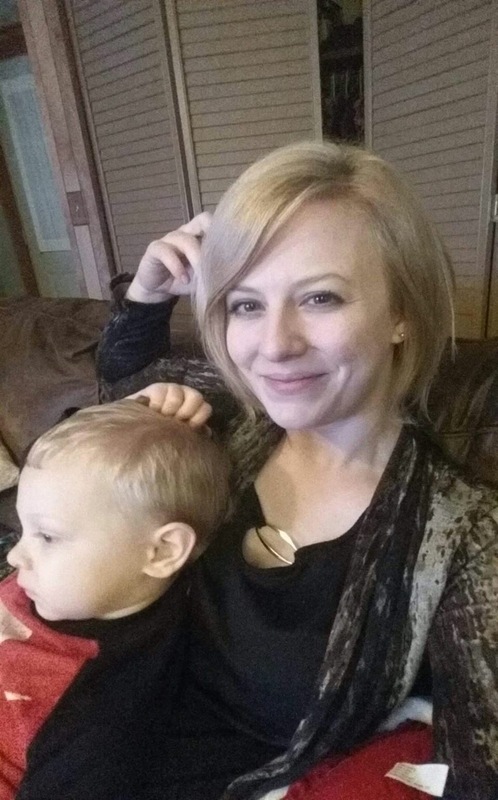 I am a full time market manager, a Mommy of a three year old son, and am lost somewhere in the middle of a divorce. I should be drinking. Alas, I can only carve out a few minutes each day to daydream about what it would be like to get white girl wasted. I don’t even have time to pop the cork and sniff the bottle. Unfortunately the time I need to devote to a proper hangover I use to make sure my sales reports are run, the stores open and staffed, my son fed, clean, clothed and happy. Oh, and remember to feed the cat. I will not waste more of your time complaining- I have some friends who are home making, Pinterest pinning, organic, vegan superstars and I will be posting links to their great ideas and photos. I am a Minimilist in training, and will document my struggles to unload a house full of stuff, real and imagined. I will probably rant about the weather, or traffic, or how my coffee got cold. So thanks for stopping by, hope you are enjoying a smooth glass of Pinot noir (my wine of choice once a year that I get it). I have some Mommy stuff to do now and can’t stay to chat.